Ask any of our Yellowstone River fly fishing guides for two words to describe summer fly fishing on the Yellowstone River and you will be met with the same response: “Big Dryflies”. 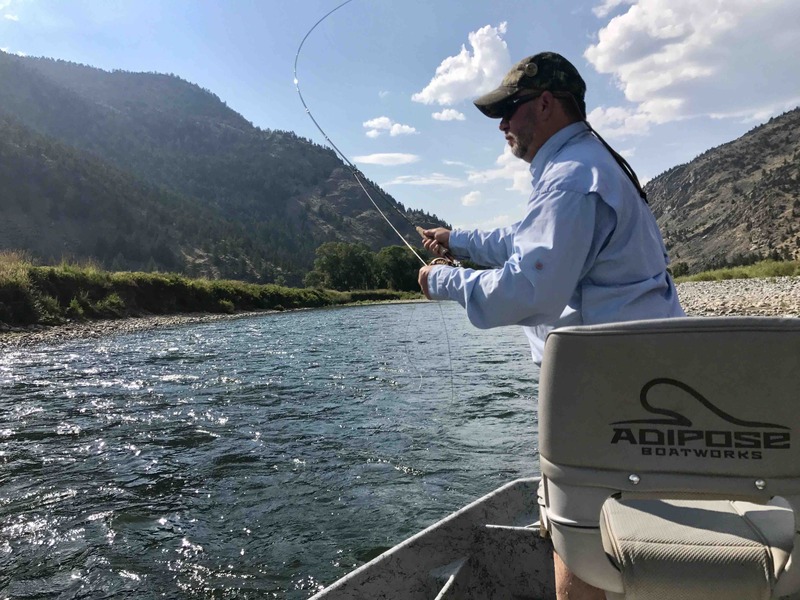 Runoff generally ends sometime between June 20th and July 15th, usually around the fourth of July, and we feel there is no better way to celebrate our nation’s independence than a day of fly fishing on the Yellowstone River followed by fireworks and fun at the Livingston, Montana rodeo. When the Yellowstone River clears, our Yellowstone River fly fishing guides will be there. Stoneflies are the name of the game through the end of June and July. Sometimes this means nymphing, but dry flies are the preferred tactic. Our annual salmonfly and golden stonefly hatches are the main attraction. The bugs range in size from #2 to #10 and keep even the biggest fish in the river looking up. It’s hard to think of a better Montana fly fishing experience than pounding the banks of the Yellowstone River with giant stonefly imitations for native Yellowstone Cutthroat trout. There are also more than just big stoneflies around. Hatches of PMDs, Little Yellow Sallies, a variety of Caddisflies, tricos, midges, and a wide variety of lesser known mayflies keep the trout interested in between larger meals. August marks the start of terrestrial season and ants, beetles, and hoppers take the place of our stoneflies on our trout’s menus. Yellowstone River Summer fly fishing is a classic Montana fly fishing trip every angler should experience.